Instagram : Welcome to IGTV | Digital Discovery ? Instagram is getting serious about challenging the Big YouTube. Today, the company announced IGTV a new Television Channel, Instagram’s new initiative that lets users create standalone video channels for longform video. Instagram hits 1 billion monthly users ! “Today, we have two big announcements to share. First, Instagram is now a global community of one billion! Since our launch in 2010, we’ve watched with amazement as the community has flourished and grown. This is a major accomplishment — so from all of us at Instagram, thank you! Also like TeleVision, IGTV has channels. But, in IGTV, the creators are the channels. When you follow a creator on Instagram, their Instagram TV channel will show up for you to watch. Anyone can be a creator as like on Youtube — you can upload your own IGTV videos in the app or on the web to start your own channel. 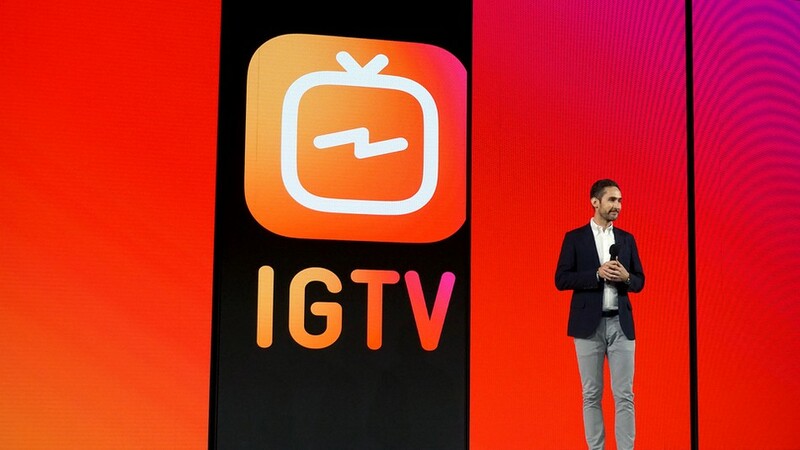 There will be no ads on IGTV to start, Systrom said, but said it likely will in the future. He also noted creators are able to link out from IGTV channels, which can help them start monetizing $ their channels right away through brand partnerships.